Our Greeble City Tutorial provides a walk through on how to quickly and easily create a cityscape, complete with custom skyscrapers. 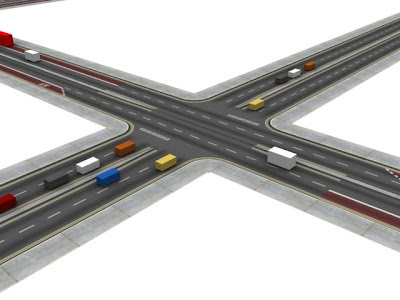 Creating a city is all well and good but it is the fine details that brings a 3D city to life, the first of these is the road network. 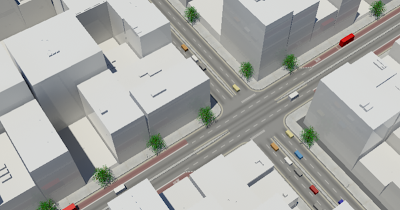 Creating a road network in 3D Max is to be honest a tedious process but once they are in place complete with pavements (sidewalks) a basic render can begin to look more city like. 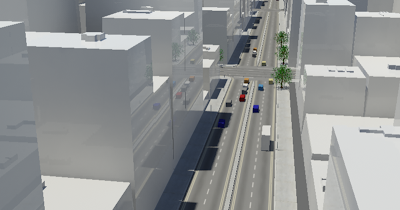 The renders here are from our 'City Roads Package' which is now available as a free download for 3ds MAX, courtesy of us here at digital urban. 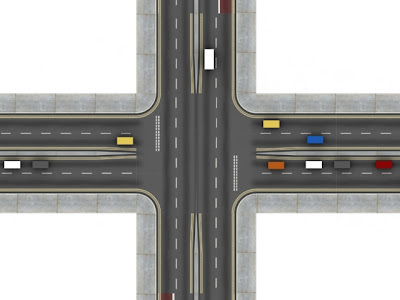 Complete with 38 high resolution textures the pack includes a series of objects that will snap together to create a grid or path layout. Note as a temporary measure the file has been removed due to issues with the textures, we are working hard to resolve this and a new updated file will go online as soon as possible. 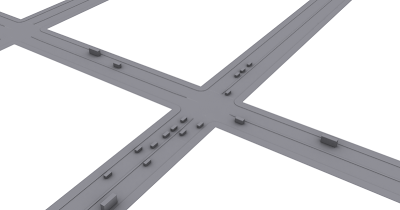 For the time being a non texture mapped version is available here (.zip file) - it should still be of use as the roads can be snapped togehter to quickly make a city layout for use in our Greeble City tutorial. If you do use the package we would love to include a render on the blog so do let us know.